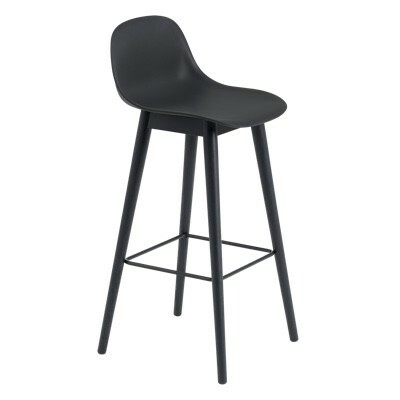 New to the Fiber collection from Muuto, the Fiber bar stool is a versatile design with moulded seat made from plastic and wood fibre making the chair easy on the eye and environment. Powder coated, stainless steel tube legs give an industrial feel and make the Fiber bar stool suitable for any contemporary home or business. All colours are available with or without a backrest, (Please contact us should you require more images) and with the option of two heights. Solid wood base version is also available.